With a pleasant and welcoming design, the attractive Hipotels La Geria Hotel stands out for its spacious and comfortable interior spaces, excellent gardens and sunny pools. Distributed on the four floors of the complex, the hotel has 242 comfortable and bright rooms that are perfectly equipped with everything you need to enjoy your holiday including air conditioning and heating, satellite TV, desk, minibar, safe, direct telephone, full bathroom, hairdryer and terrace. It has a large central pool for adults and children surrounded by gardens and palm trees, spaces for relaxation, solarium with sun beds and umbrellas and a large terrace with bar service. Guests can also avail of the massage and spa treatments that are available. 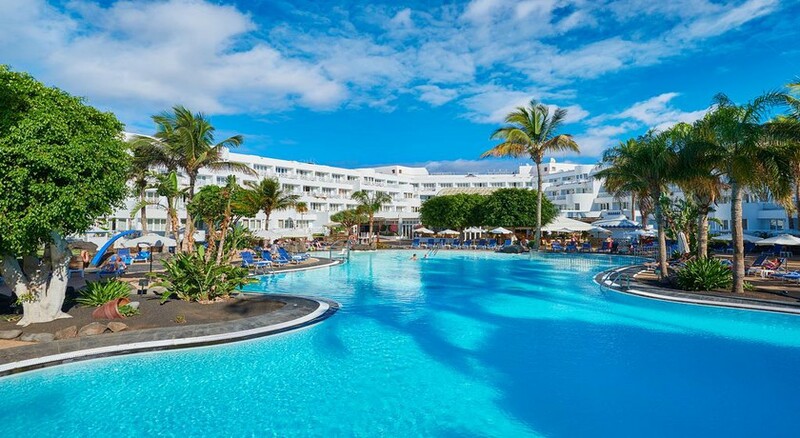 The Hipotels La Geria Hotel is located next to Avenida de las Playas, less than 50 meters from the largest beach in Puerto del Carmen, in the main tourist area of ​​the island of Lanzarote. Eden apartments Puerto Rico is located in Puerto Rico, on the island of Gran Canaria. In the vicinity of this establishment there are many places of great interest that guests can visit during their stay. Soak the sun up in Amadores beach located 0.8km away, Puerto de Mogán 5.5km away or San Agustín beach 12.2km from this establishment. 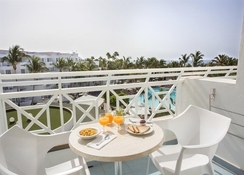 The Gran Canaria Airport is at a distance of 51km from the hotel.Hipotels La Geria Hotel is located in the northeast of Puerto del Carmen, an area well connected with all kinds of services for tourists. Just 200 meters from the hotel, travelers have a bus stop with regular service to the center of Puerto del Carmen, which is 4km away. Lanzarote Airport is 6.5km away. 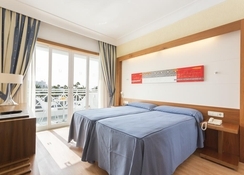 Hipotels La Geria Hotel offers a total of 242 rooms to its guests. The comfortable rooms are equipped with a bathroom with a hairdryer. They also have a direct dial telephone, satellite TV, a minibar, air conditioning, a balcony or terrace, a hire safe and parquet floors. The large buffet restaurant, with a glazed terrace next to the pool and gardens, has a la carte service and a wide variety of desserts. Avenida de las Playas, the main tourist attraction here and a mere 50 metres from the hotel, is attractive for its large number of restaurants, bars, shops and casinos. The facilities and services of the Hipotels La Geria Hotel include a gym, sauna, tennis court and diving school. For body care, the hotel has a wide range of massage and hairdressing services. Guests have at their disposal a swimming pool with a built-in section for children, sun loungers and parasols. 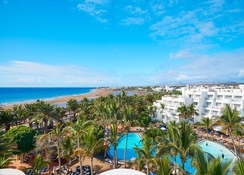 As for sports, you can practice aerobics, gymnastics and archery, as well as playing tennis and billiards (with charge), table tennis, volleyball, petanque and mini golf and golf - Lanzarote Golf Course is just 2.2km from the hotel and you can also find Teguise Golf Course 16km from the Hipotels La Geria Hotel. On the beach you will have sun beds and umbrellas at your disposal (with charge) and you can partake in an array of water sports. I had the best time the hotel is located right by the beach supermarket is on 5 min walk nice parade and shops nearby as well. Loved it went for my 50th was 11 of us service was aaamazing ! food specatular would go back definately !! great hotel that is just a stroll away from lots of bars and is placed opposite the beach. Enjoyable holiday. Good food and friendly staff.